Hummus. Athenos brand, original and spicy three pepper. Tasty and made with 100% olive oil. Soymilk. Silk, light vanilla. In a pretty blue carton and good for people with testy stomachs. PopCorners “New Shape of Popcorn” Popped Corn Chips, Sea Salt flavor. I have not tried these yet but they are “all natural” and “Gluten free” so they must be good. Salsa. It’s like tomatoes but better. 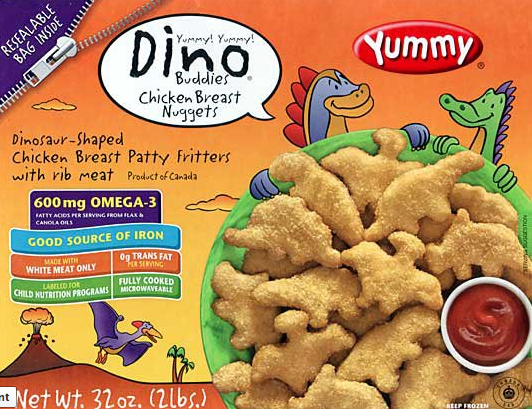 Dino Buddies Chicken Breast Nuggets (frozen). Heat 3 of these guys in the microwave in a minute for a tasty appetizer at any time of day. They have a surprisingly low fat and calorie count for a nugget-shaped snack, and they are full of protein. They are so tasty and delicious I even forgive the fact that they are made by a company entitled “Yummy,” which is a word that should be removed from all dictionaries and not be uttered by any human over the age of 5. Good and not the worst thing you could eat. Carrots, baby, orange. Apparently these are very good for your health. 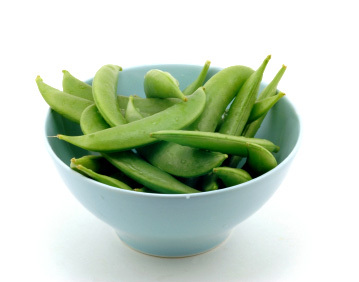 Sugar Snap peas, green. Also delicious and good for your health. Chocolate chip cookie dough, Pillsbury, in a tube. Put out a platter of baked cookie dough (cookies) and a platter of vegetables + hummus and you have yourself a delicious and colorful party snack tray. 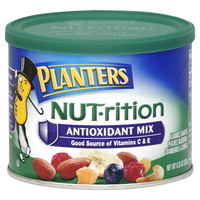 Nuts, planters, almonds and some healthy antioxidant mix. Kind of like trail mix and has that awesome nut guy on the can. Also good party tray food. Fresca, peach, in cans. That’s just tasty and if you don’t drink too much of it your teeth won’t even rot. Vitamin water, in bottles, red and pink. It tastes ok and has no calories. Pretty colored and not horrible tasting. That is the list! Keep in mind that some of this stuff is way more expensive than I thought it would be and next week I’ll probably just buy Jif peanut butter and Wonder Bread. But it’s nice to buy food that I actually like every once in awhile. Also consider that little to none of these foods were produced in Minnesota, where I bought the food, and that it is more fun to buy local products because you can brag about it and you’re saving a lot of world energy because it didn’t have to be shipped. If you have anything positive or negative or horrifying (I once found an entire dead rat in an Uncle Ben’s rice packet and I don’t buy that anymore) to say about these foods please let me know. Happy eating, happy 2012. ← Let’s see some SHARKS!